Spring has definitely arrived today! Look at this fabulous collage of spring decorations made with Marianne "Creatables" and "Craftables" Dies as well as her designer paper. 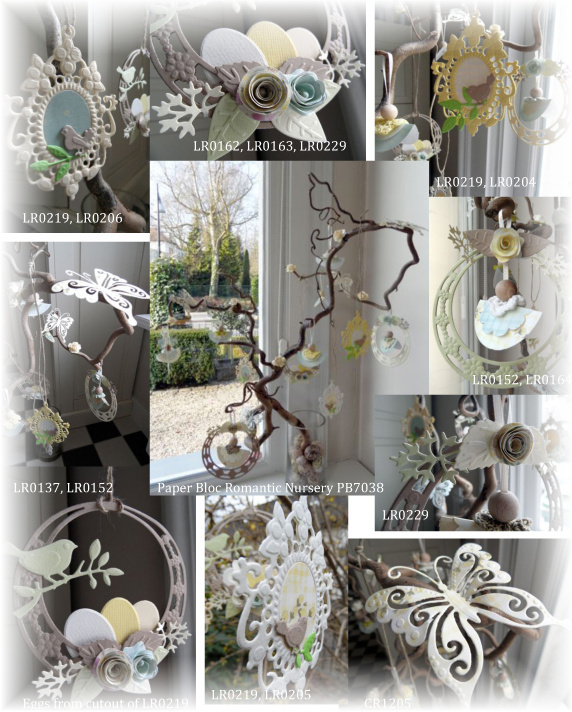 I just love this idea of taking a tree branch and hanging all of these beautiful spring ornaments on it! The pale colors give it such clean lines and make the display so attractive. Now, if you don't want to make a huge display, start out with some pretty "paper' birds to hang in your window! What a pretty way to welcome spring into your home! Say Yes to Three Scoops of Ice Cream! Congratulations Sue on your Blog!